I begin what I hope will be a slew of band profiles and a few updates from old favorites with something that should warm the hearts of any fans of early Bowie and Roxy Music, Kate Bush and Laurie Anderson, Marc Bolan and T.Rex, ’70s glam and theatrical, symphonic pop. 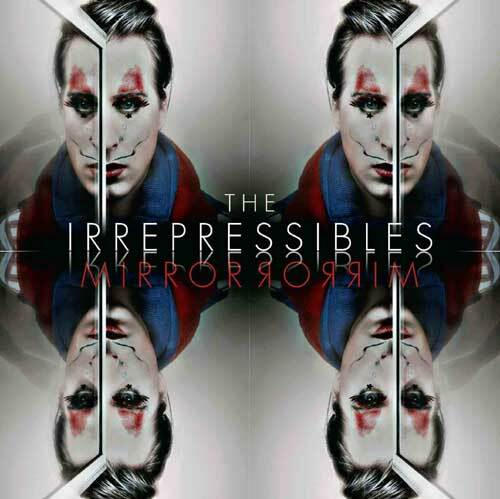 The Irrespressibles are a 10-piece orchestral ensemble led by creative director, conceptual artist, composer, lead vocalist and choreographer Jamie McDermott, whose beautifully gliding and soaring, operatic voice brings to mind another brilliant entertainer and huge favorite, Klaus Nomi. Based in England (no surprise there), they’ve been performing for rapt audiences all over Europe for seven years, though have only just last year released their debut studio album, Mirror Mirror, which had its U.S. digital release this past summer, with a special edition coming out October 25 that features exclusive remixes from Röyksopp, Hercules & Love Affair and Zero 7 amongst others. It’s a sad fact that a bad situation usually has to get much, much worse before it can start to get better. Ninety-nine percent of this planet should be really pissed off right now, if only there wasn’t so much other stuff that gets in the way. If religion is the opiate of the masses, then so are radio talk shows and opinion columns, political pundits and proselytizers. 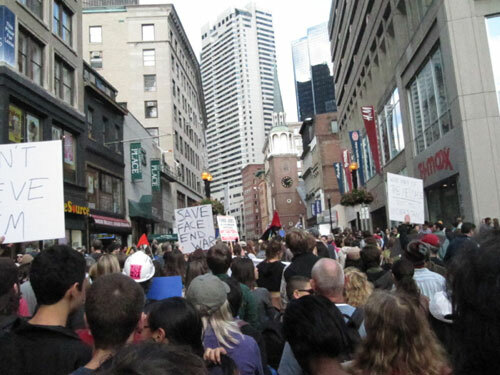 All that noise, all those petty disagreements over social issues and divisive politics. What commentators call the “wedge issues” that cause people who have more in common with each other than they realize to bicker endlessly, while they lose sight of the main plot. Here’s a very nice line-up, and by “nice” I mean exquisite: the pretty strings-infused chamber pop of Ra Ra Riot, bringing with them Delicate Steve, who has moments when he/they are anything but, and a wonderful newish band called Yellow Ostrich, who have just released their debut album, and who are quirky and strange as all hell. What a lovely combination. At first I thought this was just a very strange band name, but no, T.T.’s is having a flea market tomorrow. Being T.T.’s, it’s not just your standard flea market – it’s combined with a ‘Bloody Mary Bash.’ It promises cool vintage items & clothes, knick knacks, books, vinyl, arts & crafts, and other stuff. Plus a DJ, face-painting and photo booth, and yes of course, Bloody Marys and also Mimosas and spiked cider. In other words, a perfect event for an autumn Sunday. You’ll probably need to go home and take a nap before coming back to welcome Portugal’s The Gift, who bring their psychedelic synth pop back to the states to celebrate their latest release. 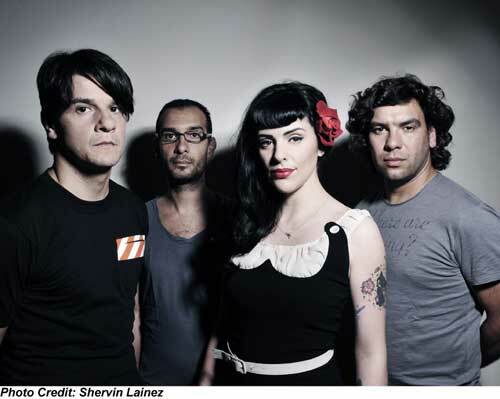 The most popular alternative band in Portugal, they’ve been together since 1994, toured in the U.S. with The Flaming Lips back in 2003, and have just released their new album Explode. Joining The Gift will be New York’s (by way of Kazakhstan) The Clox. On Expanding Awareness “later this morning”, Victor and Ramsay Raymond will be interpreting your dreams. Wake up with something strange this morning? Give them a call. 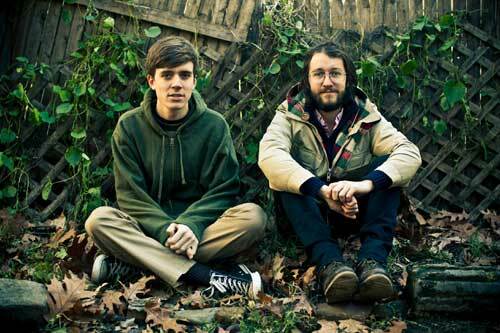 They’re at 90.3FM in the Boston area (the interview begins at 10am), or this show can be heard after the fact on the WZBC Archive. All of ‘ZBC’s shows are online for two weeks.